Harasymiak says he was recently contacted by other schools about coaching jobs, but nothing went further than that. ORONO, Maine — The University of Maine’s head football coach who is also the lowest paid coach in the Colonial Athletic Association may be fielding more lucrative offers following a winning and historic season. Joe Harasymiak guided UMaine to its first Football Championship Subdivision national semifinal appearance in school history, and the team compiled a 10-4 record. 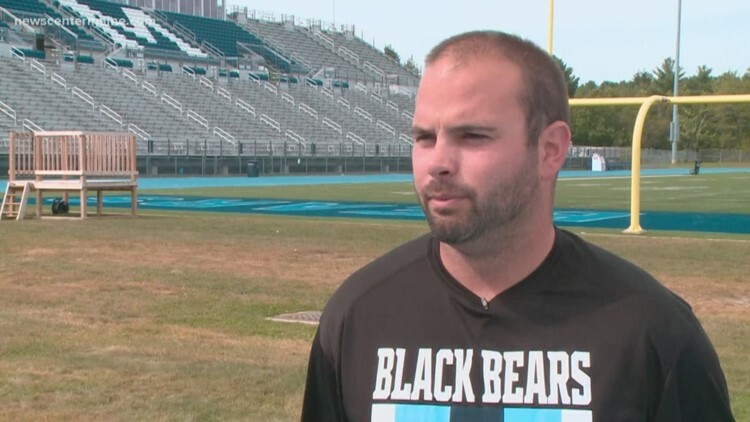 The Bangor Daily News reports the 32-year-old was named the American Football Coaches Association Region 1 Coach of the Year. Harasymiak says he was recently contacted by other schools about coaching jobs, but nothing went further than that. He is paid $153,000 per year by UMaine and his contract extends through 2020. Harasymiak says he is focused on his current position. UMaine Athletics Director Ken Ralph says he wants to keep Harasymiak in Orono.